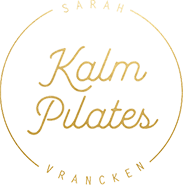 We are Kalm HBF Ltd trading as Kalm Pilates (“we/us”) a limited company incorporated in England and Wales under company number 10458341with its registered office at PO Box 257, Worcester Park, England, KT49DY. must ask users if they agree to most cookies and similar technologies (e.g. web beacons, Flash cookies, etc.) before we start to use them. third party social plug in content sharing cookies, for logged in members of a social network.